Based in New Delhi, Vistaar Estates is a highly reputed and well-established Real Estate company, which provides excellent services as Property Legal Adviser. We, at Vistaar Estates, offer the clients with the best Property Legal Advising at the most affordable and reasonable charges. We assist the clients in getting done the Property Documentation and Property Registration in the most hassle free and comfortable manner. We also offer unparalleled Property Valuation Services. Our main area of operation lies in South Delhi and Gurgaon. The Property Legal Advising services provided by us are highly appreciated and valued. 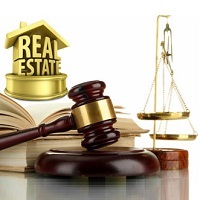 We provide full assistance to the clients in all the legal matters related to property.